Zona Fine Kerf Razor Saw, Ultra Thin Kerf Razor Saw and 3-in-1 Saw Set. and a touch of the Ultra Thin Kerf Razor Saw and 3-in-1 Saw Set. Here in Denmark I could only get the Zona models with the normal handle, but it’s a really good handle so no sweat. 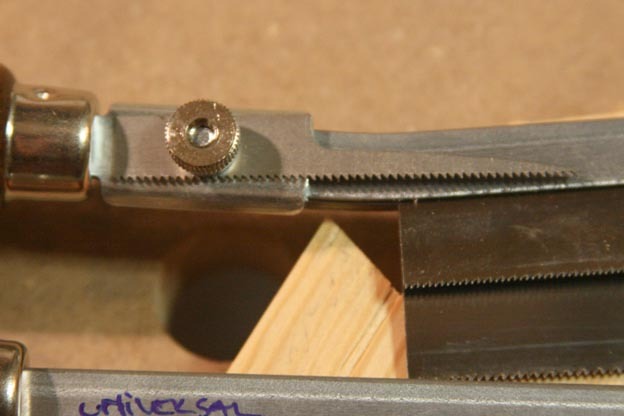 I took some pictures today, when I cut my first dovetails with this little guy, and will explain from that! Here are the three types I have. Fine Kerf Razor Saw 32TPI, this is the one being tested here. And the 3 in one model (God knows why I bought this also). The three in one, I bought to have in my ‘on the move’ toolbox, but I think it’s too fine a tool to use for that, so he will stay home. Ultra Thin Kerf Razor Saw 52TPI, are actually so fine and with a so low back, that this will be for model work, or perhaps for a box for my contact lenses, if I did not use glasses. 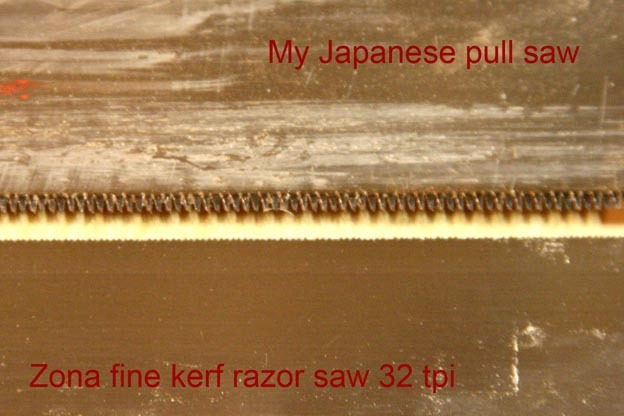 Fine Kerf Razor Saw 32TPI. I had not ordered a toy, but a saw! - here you see why! It’s really small, and the blade is so thin, that you doubt it. When you look at the teeth (if you can…), you start even more to doubt. 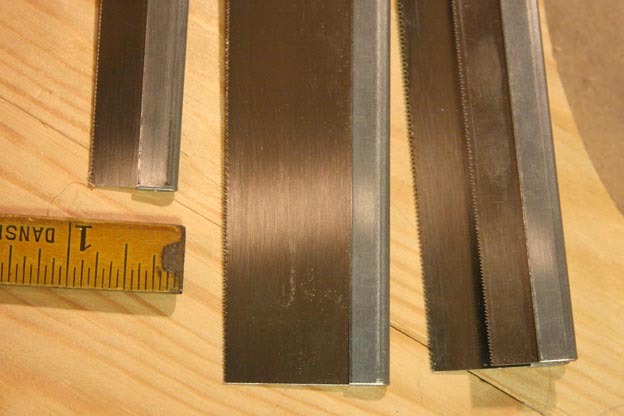 Here I compare with my Japanese pull saw, that I was impressed about, because it makes so sweet cuts. But do not let you fool the Zona saws are also pull saws, and that’s why they can be so thin. But do not let you be fooled as I said, this little saw with the big name (is it just me, or? This name is really quite funny – like something from a Star Treck movie). 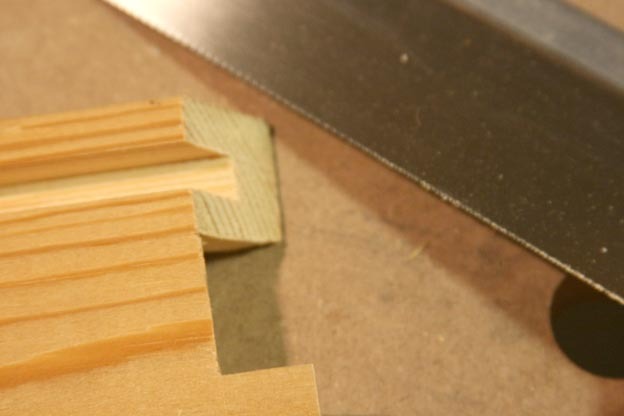 Here you see a cut, a mitered dovetail cut, no after trim, just the pure cut – yes it’s Razor! I’m quite Impressed, and thinner than my pencil almost. Here the both sides (you can only blame me for the mistakes, not the saw). If I shall give some critic, it will of course be that so little teeth, so narrow set, with so little distance – yes it makes you take more strokes, but strokes with absolutely no effort, so no sweat! And even the keyhole saw on the 3 in 1 model are really small, that it will be for the dollhouse door! I do not know why they now turned the tooth direction? It’s small, only for delicate work. It’s fragile, so you need to guide the teeth. You cannot sharpen it when it’s getting dull. It makes so thin cuts that you have to invest in a finer pencil. It’s quite easy to control because it’s a pull saw. You will need no after work to your cuts. 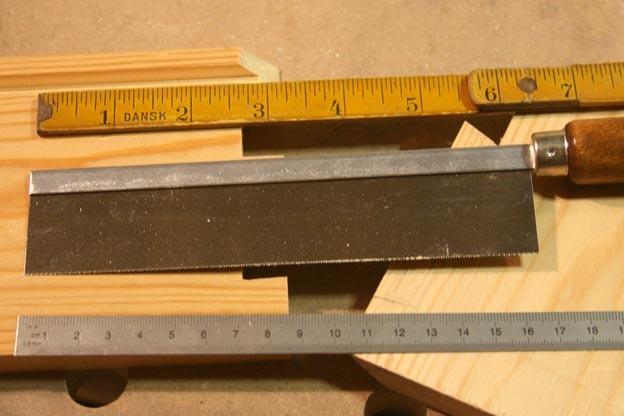 This is not a full size dovetail saw (I cannot compare, since I have no other), but it’s a more than enough size dovetail saw. I would like to have a ‘real’ handle for more control. 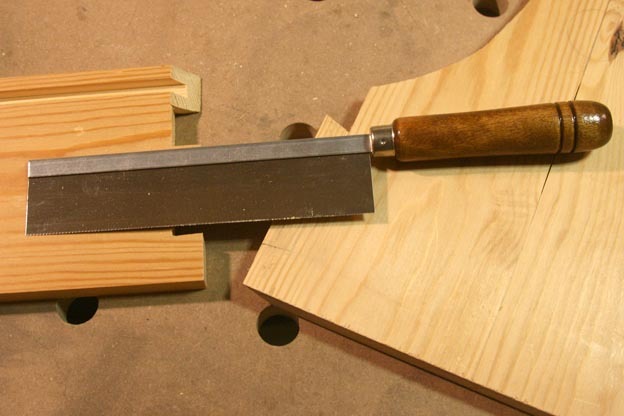 I love it after using it, and I’m sure that for the price this is the best tool you can get for making fine dovetails. Buy it! And I’ll give it five stars, since I choose not to compare it to ‘normal’ dovetailsaws. (I still dream of a Veritas, Lie Nielsen or one of those beautiful Englishmen). 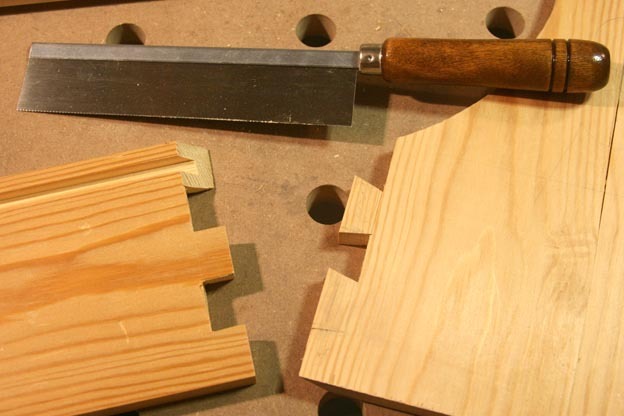 Next time, I think I’ll go for less teeth, since this 32 model are able to cut dovetails in a nut shell. Here are a link to the Zona hompage , where you can read what Anissa Kapsales and Christopher Schwarz wrote abut the saws. 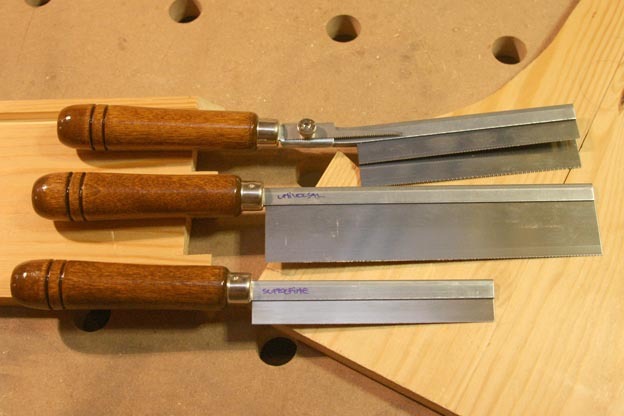 Swirt, made an excellent review of the deluxe models, and I second all he writes about these saws. [And just for the record, you should listen to this guy, he knows what he is talking about]. Great review Mafe. Funny that you describe needing a thinner pencil, made me laugh, but it really is true. I think I’ll do a better handle, a vertical one, thank you for the idea. Yet another tool I must buy. Thanks for reviewing it Mads. Thats pretty darn good jointery fora first attempt. for a ‘mad(s)’ woodworker ! Tom I do not know those saws… Give me a link! There you go. Now somebody has a tool that I don’t have. You know I’m going to have to go and buy them now. I saw Swirts review on one of these a while back and started to buy one then. I agree. I have a number of small saws, but these are my favorites. For small work they are unbeatable.